The Lamido Adamawa, Alhaji Muhammadu Barkindo-Mustafa, the powerful monarch of the home state of Atiku Abubakar, has endorsed his rival, President Muhammadu Buhari for a second term, appealing to all Nigerians that Buhari needs more time to actualise his dream for the country. Atiku of the Peoples Democratic Party is the main challenger of Buhari of the All Progressives Congress in the 16 February election. In late November 2018, the Lamido installed Atiku as the 7th Wazirin of Adamawa, a chieftaincy position that pundits expected ought to earn Atiku the political sympathy of the monarch. 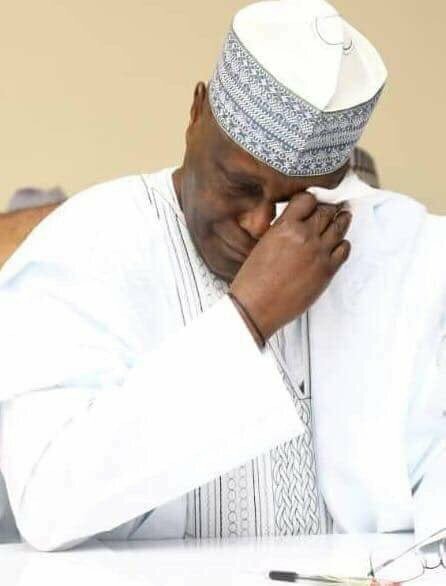 It appears the permutations were off the mark as the Lamido has now left Atiku in the political wilderness, in his home base. The monarch has now dashed Atiku’s hopes with the ringing endorsement of President Muhammadu Buhari in next Saturday’s election. “Mr. President there is no doubt that much has been achieved during your present tenure, but certainly you need more time to actualise your dream for a better Nigeria”, the Lamido wrote to President Buhari. The giant strides and inroads you recorded in various fields of our endeavours such as economy, security and fight against corruption, which still remain the cornerstone of your agenda, would not have been made possible if not for your resilient, focus, passion and love for the country. This therefore calls for all and sundry to rally round you and allow you to get to the next level to enable you consolidate the various laudable programmes of your party”, the Lamido said. It is now clear that the endorsement of the powerful monarch may have punctured Atiku’s hope of mining the monarch’s influence to win his home state of Adamawa. Atiku as the presidential candidate of the Action Congress of Nigeria in 2007, failed to win the state. Atiku faces an uphill task to win the state next week, analysts said. From voting records, President Buhari since 2003 has never lost Adamawa state, even under PDP organised elections, one of which, the 2007 election, the late President Umar Yar’Adua confirmed to be flawed.